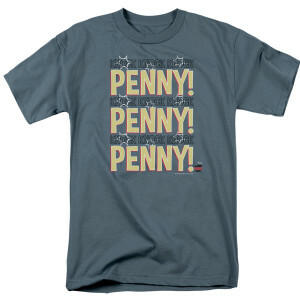 This Big Bang Theory Knock Knock Penny T-Shirt is great for any Sheldon fan. His quirky personality and mannerisms are why you love him. Great shirt. I sent it to my girl friend and she loved it. She wanted to know why CBS Store does not have a Leonard shirt.